Not to be confused with Theology. 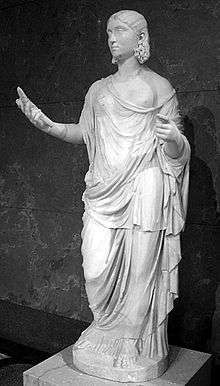 Thealogy (a neologism derived from Ancient Greek θεά meaning "Goddess" and λόγος, -logy, meaning "study of") is generally understood as a discourse that reflects upon the meaning of Goddess (thea) in contrast to God (theo). As such, it is the study and reflection upon the feminine divine from a feminist perspective. Thealogy is distinguished from feminist theology, which is the study of God from a feminist perspective, but the two fields can be seen as related and interdependent. Look up thealogy in Wiktionary, the free dictionary. The term's origin and initial use is open to debate, and the definition and scope of thealogy are currently being defined by the key scholars in the field. Often attributed to a neologism coined by Isaac Bonewits in 1974, Patricia 'Iolana traces the early use of the term to 1976 crediting both Bonewits and Valerie Saiving in its initial use. In the 1979 "The Changing of the Gods", Naomi Goldenberg introduces the term as a future possibility with respect to a distinct discourse, highlighting the masculine nature of theology. Also in 1979, in the first revised edition of "Real Magic", Bonewits defined "thealogy" in his Glossary as "Intellectual speculations concerning the nature of the Goddess and Her relations to the world in general and humans in particular; rational explanations of religious doctrines, practices and beliefs, which may or may not bear any connection to any religion as actually conceived and practiced by the majority of its members." Also in the same glossary, he defined "theology" with nearly identical words, changing the feminine pronouns with masculine pronouns appropriately. Carol P. Christ used the term in "Laughter of Aphrodite" (1987), acknowledging that those who create thealogy cannot avoid being influenced by the categories and questions posed in Christian and Jewish theologies. She further defined thealogy in her 2002 essay, "Feminist theology as post-traditional thealogy," as "the reflection on the meaning of the Goddess". In her 1989 essay "On Mirrors, Mists and Murmurs: Toward an Asian American Thealogy", Rita Nakashima Brock defined thealogy as "the work of women reflecting on their experiences of and beliefs about divine reality". Also in 1989, Ursula King notes thealogy's growing usage as a fundamental departure from traditional male-oriented theology, characterized by its privileging of symbols over rational explanation. In 1993, Charlotte Caron's definition of thealogy as "reflection on the divine in feminine and feminist terms" appeared in "To Make and Make Again". By this time, the concept had gained considerable status among Goddess adherents. Situated in relationship to the fields of theology and religious studies, thealogy is a discourse that critically engages the beliefs, wisdom, practices, questions, and values of the Goddess community, both past and present. Similar to theology, thealogy grapples with questions of meaning, include reflecting on the nature of the divine, the relationship of humanity to the environment, the relationship between the spiritual and sexual self, and the nature of belief. However, in contrast to theology, which often focuses on an exclusively logical and empirical discourse, thealogy embraces a postmodern discourse of personal experience and complexity. The term suggests a feminist approach to theism and the context of God and gender within Paganism, Neopaganism, Goddess Spirituality and various nature-based religions. However, thealogy can be described as religiously pluralistic, as thealogians come from various religious backgrounds that are often hybrid in nature. In addition to Pagans, Neopagans, and Goddess-centred faith traditions, they are also Christian, Jewish, Buddhist, Muslim, Quakers, etc. or define themselves as Spiritual Feminists. As such, the term thealogy has also been used by feminists within mainstream monotheistic religions describe in more detail the feminine aspect of a monotheistic deity or trinity, such as God/dess Herself, or the Heavenly Mother of the Latter Day Saint movement. In 2000, Melissa Raphael wrote the text Introducing Thealogy: Discourse on the Goddess for the series Introductions in Feminist Theology. Written for an academic audience, it purports to introduce the main elements of thealogy within the context of Goddess feminism. She situates thealogy as a discourse that can be engaged with by Goddess feminists—those who are feminist adherents of the Goddess who may have left their church, synagogue, or mosque—or those who may still belong to their originally established religion. In the book, Raphael compares and contrasts thealogy with the Goddess movement. In 2007, Paul Reid-Bowen wrote the text "Goddess as Nature: Towards a Philosophical Thealogy", which can be regarded as another systematic approach to thealogy, but which integrates philosophical discourse. In the past decade, other thealogians like Patricia 'Iolana and D'vorah Grenn have generated discourses that bridge thealogy with other academic disciplines. 'Iolana's Jungian thealogy bridges analytical psychology with thealogy, and Grenn's metaformic thealogy is a bridge between matriarchal studies and thealogy. Contemporary Thealogians include Carol P. Christ, Melissa Raphael, Asphodel Long, Beverly Clack, Charlotte Caron, Naomi Goldenberg, Paul Reid-Bowen, Rita Nakashima Brock, and Patricia 'Iolana. At least one Christian theologist dismisses thealogy as the creation of a new deity made up by radical feminists. 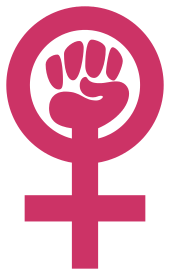 Paul Reid-Bowen and Chaone Mallory point out that essentialism is a problematic slippery slope when Goddess feminists argue that women are inherently better than men or inherently closer to the Goddess. In his book Goddess Unmasked: The Rise of Neopagan Feminist Spirituality, Philip G. Davis levies a number of criticisms against the Goddess movement, including logical fallacies, hypocrisies, and essentialism. Thealogy has also been criticized for its objection to empiricism and reason. In this critique, thealogy is seen as flawed by rejecting a purely empirical worldview for a purely relativistic one. Meanwhile, scholars like Harding and Haraway seek a middle ground of feminist empiricism. ↑ Raphael, Melissa. "Thealogy." Encyclopedia of Religion. Ed. Lindsay Jones. 2nd ed. Vol. 13. Detroit: Macmillan Reference USA, 2005. 9098-9101. Gale Virtual Reference Library. Web. 6 Dec. 2012. "In 1979 Naomi Goldenberg first used the word thealogy to denote feminist discourse on the Goddess (thea) rather than God (theo)." ↑ Caron, Charlotte (1996). "Thealogy". In Russel, Letty M.; Clarkson, J. Shannon. Dictionary of Feminist Theologies. Westminster John Knox Press. pp. 281–282. ISBN 9780664220587. Thealogy is reflection on the divine in feminine and feminist terms. The word is used both as a positive alignment with Goddess, goddesses, or God in female terms and as an iconoclastic term to create awareness of the androcentrism of theology. ↑ Raphael, Melissa (2000). Introducing Thealogy: Discourse on The Goddess. Introductions in Feminist Theology. Cleveland, Ohio: Pilgrim Press. p. 10. ISBN 0829813799. Retrieved 7 December 2012. Although the boundary between feminist theology and thealogy can be a permeable one, the basic division between radical/Pagan and reformist/biblical feminism is a historical product and a microcosm of this internal dissension in the feminist community. ↑ 'Iolana, Patricia (January 2012). "Divine Immanence: A Psychodynamic Study in Women's Experience of Goddess" (PDF). Claremont Journal of Religion. 1 (1): 86–107 . While seemingly inclusive in scope, theology often has a focal handicap--it is monotheistic in its thinking, examining God from a narrow and often monocular lens often concretised by its own dogma, and often exclusivist and hampered by truth claims. Thealogy, on the other hand, is pluralistic, syncretistic and inclusive. It is fluid and comprehensive, able to contain many different belief systems and ways of being. Thealogy does not stand in opposition to, but as a complement to, Theology as a branch of religious study. ↑ Clack, Beverly (May 1999). "Thealogy and Theology: Mutually Exclusive or Creatively Interdependent?". Feminist Theology. 7 (21): 21–38. doi:10.1177/096673509900002103. Retrieved 7 December 2012. ↑ Bonewits, Isaac (2007). Neopagan Rites: A Guide to Creating Public Rituals That Work. Llewellyn Worldwide. p. 222. ISBN 9780738711997. 86. In 1974 I wrote, and in 1976 published, the word thealogian in The Druid Chronicles (Evolved), a book about the Reformed Druids of North America and their offshoots. ↑ Scharding, Philip Emmons Isaac (1996). "The Second Epistle of Isaac". A REFORMED DRUID ANTHOLOGY: Being an unofficial and unauthorized historical collection of some of the spiritual writings from the various Reformed Druid movements in North America; and being mostly a 20th anniversary reprint of The Druid Chronicles (Evolved) first published in August 1976 c.e., which was edited by Isaac Bonewits and Robert Larson; but prepared for reprinting with some new additions and historical commentary by the current associate editor, Michael Scharding, in August 1996 c.e. (PDF). Northfield, Minnesota, USA: The Drynemetum Press. p. 67. ...C. Taliesin Edwards (the leading thealogian in the Neopagan movements has called “The Da Mind” (in his Essays Towards a Metathealogy of the Goddess), and that others have called by a variety of names. ↑ 'Iolana, Patricia (2011). "Radical Images of the Feminie Divine: Women's Spiritual Memoirs Disclose a Thealogical Shift". In 'Iolana, Patricia; Tongue, Samuel. Testing the Boundaries: Self, Faith, Interpretation and Changing Trends in Religious Studies. Newcastle upon Tyne: Cambridge Scholars Publishing. p. 15. ISBN 9781443826693. According to my research Thealogy or Thealogian was first used in publications by both Isaac Bonewits ("The Druid Chronicles - Evloved") and Valerie Saiving ("Androcentrism in Religious Studies") in 1976. Naomi Goldenberg continued this new thread by using the term in The Changing of the Gods (Goldenberg 1979b, 96). Since then, many have attempted to define "thealogy". ↑ Goldenberg, Naomi (1979). Changing of the gods: Feminism and the end of traditional religions. Boston: Beacon Press. p. 96. The word theology has also come to be used almost exclusively in regard to Christian god-talk. The advent of witchcraft, with its colorful goddess-talk, requires a new term. I hope witches and scholars of feminist religion will adopt my suggestion and name themselves thealogians. ↑ Bonewits, Isaac (1989). Real Magic: An Introductory Treatise on the Basic Principles of Yellow Magic (Revised/reprint ed.). York Beach, ME: Weiser Books. ISBN 0877286884. ↑ Christ, Carol P (1987). Laughter of Aphrodite: Reflections on a Journey to the Goddess. San Francisco: Harper & Row. p. xii. ISBN 9780062501462. ↑ Christ, Carol P (2002). The Cambridge Companion to Feminist Theology. Cambridge: Cambridge University Press. ↑ Brock, Rita Nakashima (1989). Plaskow, Judith; Christ, Carol P., eds. Weaving the Visions: New Patterns in Feminist Spirituality. San Francisco: HarperCollins. p. 236. ISBN 9780060613839. ↑ King, Ursula (1989). Women and spirituality: voices of protest and promise. New Amsterdam. pp. 126–127. ISBN 9780941533539. So far however, most writing on the Goddess, when not historical, is either inspirational or devotional, and a systematically ordered body of thought, even with reference to symbols, is only slowly coming into existence. ↑ Caron, Charlotte (1993). To make and make again: feminist ritual thealogy. Crossroad. ISBN 9780824512491. ↑ Hope, Angela; Morgain, Shan. "What Is Goddess Thealogy & Deasophy?". Institute for Thealogy and Deasophy. Retrieved 10 December 2012. Goddess thealogy and deasophy are reflections on both past and contemporary Goddess communities' beliefs, wisdom, embodied practices, questions, and values. ↑ Christ, Carol P. (2003). She Who Changes: Re-imagining the Divine in the World. Palgrave Macmillan. pp. 11–12. ISBN 9781403960832. Retrieved 10 December 2012. The common thread in all of these examples is that feminist spiritual practice raises philosophical questions about the nature of divine power and its relation to our lives. Feminist theology and thealogy began as radical challenges to traditional ways of thinking about God and the world. ↑ Crist, Carol P. (2012). Rebirth of the Goddess: Finding Meaning in Feminist Spirituality. Psychology Press. p. 153. ISBN 9780415921862. Retrieved 10 December 2012. Goddess thealogy affirms that we all come from one course while stating that diversity is the great principle of the earth body.... We are both different and related in the web of life. ↑ Clack, Beverly (September 1995). "The Denial of Dualism: Thealogical Reflections on the Sexual and the Spiritual". Feminist Theology. 4 (10): 102–115. doi:10.1177/096673509500001009. Retrieved 10 December 2012. ↑ Eller, Cynthia (1995). Living In The Lap of Goddess: The Feminist Spirituality Movement in America. Beacon Press. pp. 140–141. ISBN 9780807065075. Retrieved 10 December 2012. "Believing" in goddess is more a matter of adopting a new term for an old experience to call attention to its sacredness and its femininity. This is the closest thing one gets to a consensus thealogy in feminist spirituality, but it does not truly do justice to the thealogies that grow up all around it. ↑ Raphael, Melissa (1996). Thealogy and Embodiment: The Post-Patriarchal Reconstruction of Female Sacrality. Continuum International Publishing Group. pp. 228–229. ISBN 9781850757573. Retrieved 10 December 2012. The postmodern theological/thealogical shift from a God of law presiding over a cosmic machine to a divinity holding creation in a nexus of complex relations has -- like one of its forerunners, process theology -- brought the divine into the very heart of change: the Goddess does not sit and watch the cosmos but is dancing at its very centre. ↑ Raphael, Melissa. "Thealogy." Encyclopedia of Religion. Ed. Lindsay Jones. 2nd ed. Vol. 13. Detroit: Macmillan Reference USA, 2005. 9098-9101. Gale Virtual Reference Library. Web. 6 Dec. 2012. "There are those on the gynocentric or woman-centered left of Jewish and Christian feminism who would want to term themselves theo/alogians because they find the vestiges of the Goddess or "God-She" within their own traditions as Hochmah, Shekhinah, Sophia, and other "female faces" of the divine." ↑ Raphael, Melissa (2000). Introducing Thealogy: Discourse on The Goddess. Introductions in Feminist Theology. Cleveland, Ohio: Pilgrim Press. p. 16. ISBN 0829813799. Retrieved 7 December 2012. ↑ Raphael, Melissa (2000). Introducing Thealogy: Discourse on The Goddess. Introductions in Feminist Theology. Cleveland, Ohio: Pilgrim Press. p. 10. ISBN 0829813799. Retrieved 7 December 2012. [T]his book is not an empirical study of the feminist wing of the Goddess movement. Rather, it is an exposition of a body of thought - thealogy - that derives from Goddess women's experience and from a broader history of emancipatory ideas and which can be defined as feminist reflection on the femaleness of the divine and the divinity of femaleness, and, more generally, spiritual, eithical and political reflection on the meaning(s) of both. ↑ Reid-Bowen, Paul (2007). Goddess as Nature: Towards a Philosophical Thealogy. Aldershot: Ashgate Publishing, Ltd. p. 200. ISBN 9780754656272. ↑ Grenn, Deborah J. (n.d.). "Connecting With Deity Through a Feminist Metaformic Thealogy" (PDF). Metaformia: A Journal of Menstruation and Culture. Retrieved 10 December 2012. ↑ Damian, Constantin-Iulian (January 2009). "Radical Feminist Theology: From Protest to the Goddess". Scientific Annals of the "Alexandru Ioan Cuza" University of Iasi – Orthodox Theology (1): 171–186. Retrieved 11 December 2012. Finally, we point out the antichristian character that animates the construction of this new deity, created "after the image and likeness of man". ↑ Reid-Bowen, Paul (2007). Goddess As Nature: Towards a Philosophical Thealogy. Ashgate Publishing. p. 156. ISBN 9780754656272. Retrieved 10 December 2012. First, there are those feminist thealogical claims that suggest that women are essentially caring, nurturing and biophilic, while men are essential violent, destructive and necrophilic.... Second, there are those claims that suggest that women are somehow closer to the Goddess and/or nature than men. ↑ Mallory, Chaone (2010). "The Spiritual is Political: Gender, Spirituality,and Essentialism in Forest Defense". Journal for the Study of Religion Nature and Culture. 4 (1): 48–71. doi:10.1558/jsrnc.v4il.48. ISSN 1363-7320. Retrieved 11 December 2012. The deployment of such textual imagery in theservice of a woman-centered environmentalism that strongly sug-gested—at times even explicitly asserted and celebrated—that womenhave an inherent, likely biological connection with nature that men donot generated the typical criticisms of ecofeminism already noted. ↑ Davis, Philip G. (1998). "The Foundations of "Theology"". Goddess Unmasked: The Rise of Neopagan Feminist Spirituality. Dallas: Spence Publishing Company. pp. 86–100. ISBN 0965320898. ↑ Graham, Elaine L. (2002). Representations of the Post/Human: Monsters, Aliens and Others in Popular Culture. Rutgers University Press. p. 215. ISBN 9780813530598. Retrieved 10 December 2012. While this valorization of experience and suspicion of reason is a valuable corrective, the danger comes when as a result women deny themselves a stake in rational thought. Critics of thealogy have pointed out its lack of rigour, as for example over the issue of valid historical evidence. ↑ Fang-Long, Shih (2010). "Women, Religions, and Feminism". In Bryan S. Turner. The New Blackwell Companion to the Sociology of Religion. John Wiley & Sons. p. 234. ISBN 9781444320794. One the one hand, there are social constructivists, postmodernists and relativists for whom there are no facts, only rhetoric and power, and on the other, there are positivists and empiricists for whom facts are value-free and given directly to experience, waiting patiently to be discovered. ↑ Harding, Sandra G. (1991). Whose Science? Whose Knowledge? : Thinking from Women's Lives. Cornell University Press. p. 142. ISBN 9780801497469. Retrieved 10 December 2012. A feminist standpoint epistemology requires strengthened standards of objectivity.... They call for the acknowledgement that all human beliefs - including our best scientific beliefs - are socially situated, but they also require a critical evaluation to determine which social situations tend to generate the most objective knowledge claims. Goldenberg, Naomi (1990) Returning Words to Flesh: Feminism, Psychoanalysis, and the Resurrection of the Body. Boston: Beacon Press. Miller, David L. (1974) The New Polytheism: Rebirth of the Gods and Goddesses. New York: Harper & Row. Raphael, Melissa (1997) ‘Thealogy, Redemption and the Call of the Wild’ from Feminist Theology: The Journal of the Britain and Ireland School of Feminist Theology No. 15, May 1997 Lisa Isherwood, et al. (eds) (Sheffield: Sheffield Academic Press) p. 55-72.